I’m working on a Visio drawing of our proposed Groupwise upgrade environment, and needed some better stencils to represents servers and SAN storage than the ones that come with Microsoft Visio. 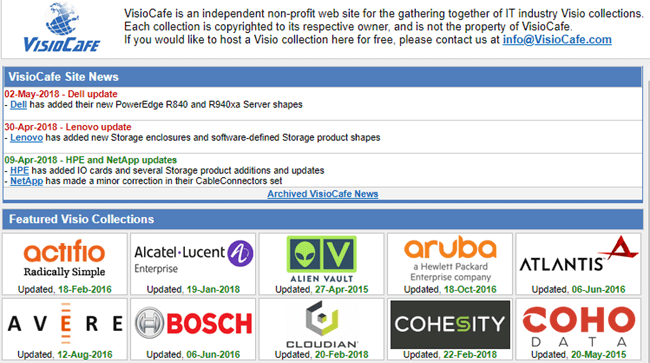 I found some very nice stencils at visiocafe.com for Dell servers and storage and EMC storage, including Dell branded EMC storage and EqualLogic. I can use these along with my eDirectory, clustering and Groupwise stencils to detail everything the administrators will need to know to build my design.